“The Man with the Van”: it almost sounds like poetry or a Beatles’ song. But it is just our life, our passion and our daily work that we undertake with renewed vigour every day. We are simple lads who enjoy helping other simple lads in Cardiff. We really believe that this simplicity is the key to our success and also the key to reduced stress in the city. Not having to deal with all this yourself is such a relief. And this is why we created this service. Moving or taking your belongings from one place to another is already stressful enough. Our story started in 2012 when we were still students. Having to move all our belongings from one shared apartment to another without a car was a nightmare. 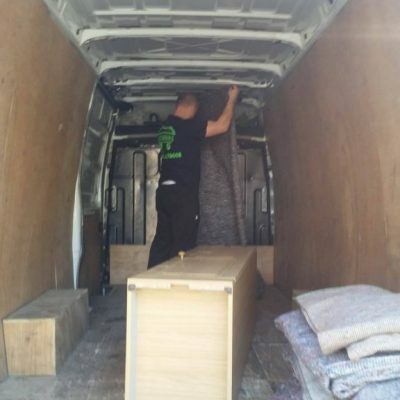 Using public transportation was not an option either due to the volume of things to move and calling a professional removing company was too expensive. What would you do in this case? We found a solution to our problem by renting the van of a neighbour and then had the idea to rent it out to other students like us who were experiencing the very same issue when moving in and moving out. Our man with a van company was born this way and when we finally finished our studies, we decided to grow the company and give it the attention it deserved. What we love about this business is the simplicity of the service offered, coupled with the real value we are bringing to people’s lives. We feel like we are providing something useful to the community. Indeed, we cannot negate the social dimension of it. Meeting people from different walks of life and having different needs is an ever-enriching experience for people like us who are passionate about their fellow human beings. Young, old, rich and poor…we had all types of customers over the years and we also have a lot of repeat customers. Some of them even became our friends over the years. We are the missing link between people and places, doing a job that nobody else can do. 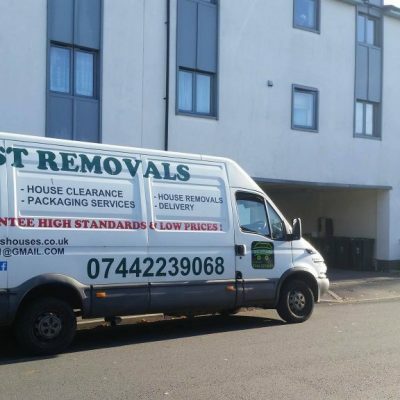 Helpful, friendly and guaranteeing high standards of service, our removal company in Cardiff is well worth discovering. Whether you are too busy to do it yourself, a little strapped for cash or just need a van instead of a big truck, it’s time to contact us.